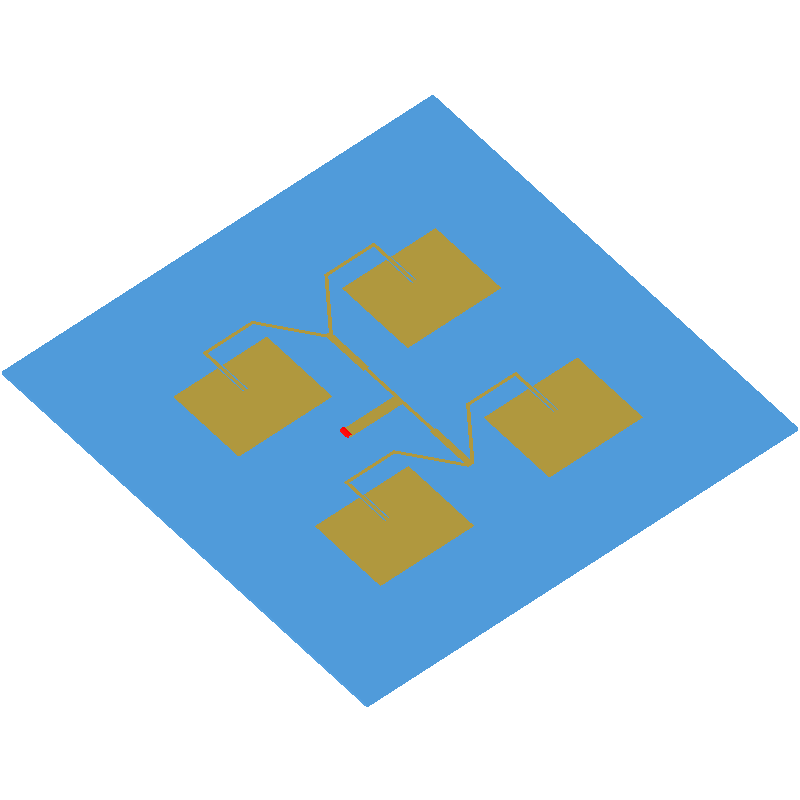 Image of the 2-by-2 array of rectangular inset-fed patch antennas. 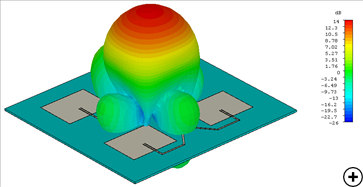 Microstrip antennas are not only used as single elements but are very popular in arrays. Arrays can be used to synthesize a required pattern that cannot be achieved with a single element. The two dimensional nature of planar arrays results in versatile structures, which are able to provide specified radiation patterns with low side lobes. Applications include, among others, tracking and search radars, altimeters, remote sensing, terrestrial and aerospace communication systems. Due to their low weight and profile, microstrip patch arrays, are suitable for numerous microwave and millimeter wave applications, or when flush mounted, conformal arrays are needed. Using inset-fed patches allows far greater control over the various feed network line impedances, keeping them all within a smaller range for overall improved matching and simpler manufacturing. The 2-by-2 patch array has a gain of around 13 dBi and a relatively narrow 3% bandwidth, on average. The performance bandwidth is primarily limited by impedance.